After a hot and humid summer (that stretched well into September and even a bit of October), I'm thrilled to finally surround myself with sweaters and soup and other fall things that don't necessarily begin with S. And at the risk of sounding like a stereotype, I do enjoy pumpkin spice. To celebrate, I'm participating in the "Fall into Romance" blog hop - be sure to check out the giveaway at the end of this post and visit all the other stops! I first became interested in the romance genre when someone gave me a copy of Obsidian Butterfly, from Laurell K. Hamilton's Anita Blake series, for my 16th birthday. (We will not talk about how long ago that was.) Truthfully, out of the whole series, it's probably the lightest on the romance, but I liked it enough that I picked up the next book. *That* one was a bit steamier, and I was hooked and went back to the beginning. It's hard to say how much Anita & Co. influenced my writing, as I didn't start writing my own stories until many years later. Also, the paranormal genre isn't really my thing. I have nothing against vampires and werewolves and the like, I've just never felt compelled to write about them myself. On the flip side, though, we all know how much I adore a strong heroine, so maybe Anita's creeping in a bit there. On the topic of my own writing (excellent segue, no? 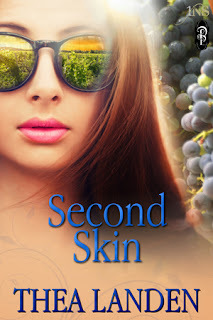 ), for my stop on this hop, I'm giving away two copies of Second Skin, my first 1Night Stand book. Anna and Brendan's date takes place in the summer, but they dream of meeting again in the fall, getting cozy in front of a fireplace and admiring the changing leaves in upstate New York. 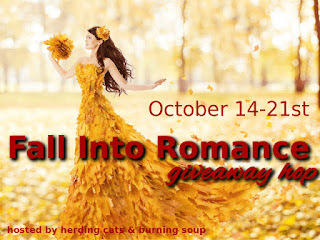 Read on for the blurb, and follow the Rafflecopter instructions to increase your chances of winning! I can't wait to hear about your favorite parts of fall. Good luck and happy reading! I just bought two pairs I definitely didn't need yesterday. Hey, I had coupons burning a hole in my pocket! Fall is not too hot or cold. The perfect weather mixes with the beautiful colors of leaves.